Dinner with friends at Gjelina in Venice. 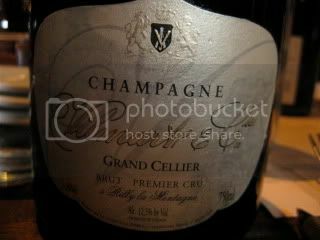 Vilmart & Cie, Champagne Brut 1er Cru, Grand Cellier...Serious terroir-oriented small production estate from Rilly-la-Montagne (1er cru village). 70% Chardonnay 30% PN, aged 10 months in Foudres. Tons of mineral, lemon juice, cumin, hay, high acid and clean zesty finish. 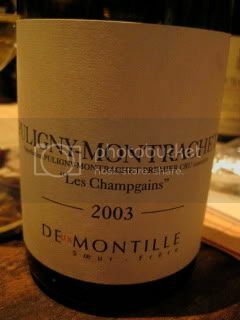 2003 Deux Montille, Puligny-Montrachet 1er Cru, "Les Champgains"...I was very impressed how Montille let this wine express its terroir even in this "hot" vintage. Classic minerality of PM. Creme brulee, intense fruit, spice, ripe citrus, peach. Very smooth palate. 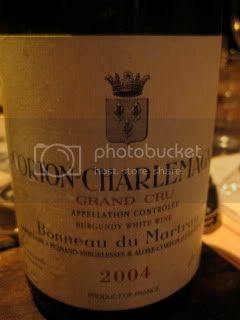 2004 Bonneau du Martray, Corton-Charlemagne Granc Cru...They own only GC vineyards. Vineyards are cultivated by horses. Might have been a off bottle. It smelled a little odd in the beginning, but after a while, the wine showed more floral character. 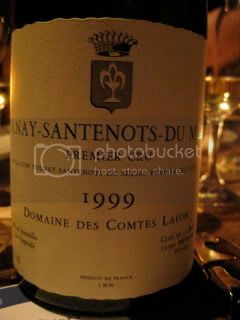 1999 Domaine des Comtes Lafon, Volnay-Santenos-du Milieu...From the top rated 1er Cru vineyards of Volnay (the vineyard itself is situated within Meursault). The wine was at its perfect stage. Dark garnet color. Dust, pommegranate, white pepper, floral, meaty and minerality on the palate. Very complex and very long finish (more than 30 seconds). 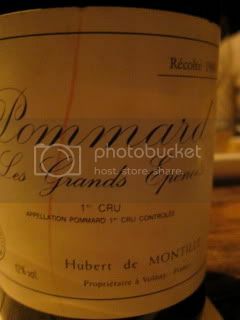 1993 Hubert de Montille, Pommard 1er Cru, "Les Grands Epenots"...One of the top vineyards of Pommard. Still fresh on the palate. Bright fruit, berry sauce, brown sugar. Very silky texture. 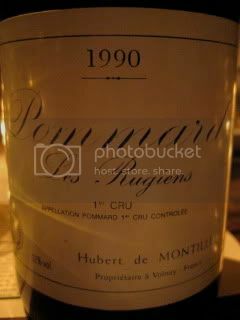 1990 Hubert de Montille, Pommard 1er Cru, "Les Rugiens"...A little earthier than the former wine. Dust, berry, dry meat, long finish. 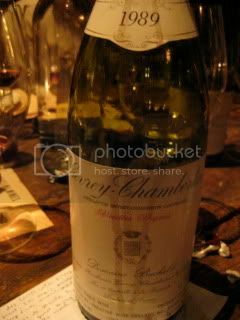 1989 Domaine Bachelet, Gevrey-Chambertin, Vieilles-Vignes...Wet character, raw meat, dirt, mushrooms, berry sauce. Fresh acidity. Very complex. 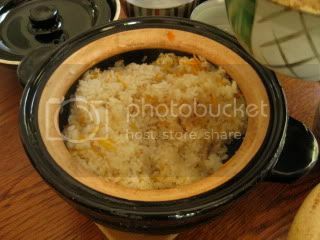 Do you know what else you can do with the donabe rice cooker? 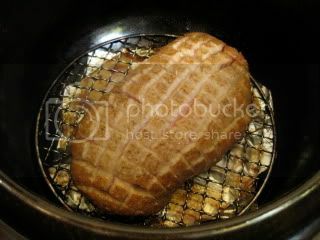 This is what I like doing often when I make rice with my double-lid donabe rice cooker, "Kamado-san". 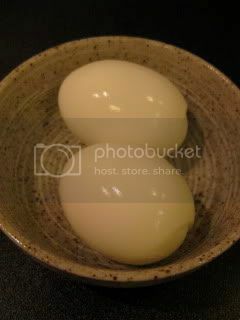 I put the raw eggs on the inner lid of the donabe before covering with the top lid. Make sure the wholes are not blocked. Then, I make the rice just like usual. 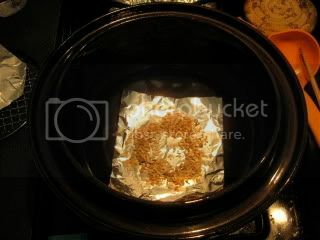 (15 minutes over medium-high heat.) After turning off the heat, the rice will be rested for 20 minutes with the lids on. 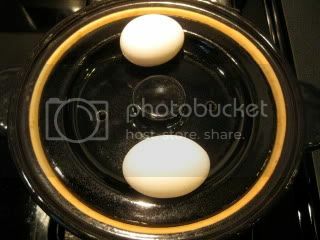 Meanwhile, about 10 minutes into the resting time, I just quickly open the top lid and remove the eggs. 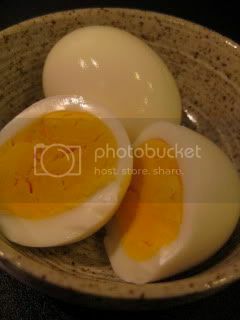 The perfectly cooked boiled eggs are made without boiling! Somehow, they taste better than the regular boiled eggs. After coming back from France, I feel I appreciate the local (Southern) Californian cuisine more than I used to. And, there are more restaurants, here in LA, where you can enjoy a wide variety of delicious dishes made with local produce. One of my recent favorites is Forage in Silverlake. I'm also glad Palate in Glendale is doing what they have been doing. Their food is always so fresh and tasty. Last week, we were back at Palate for a wine dinner. Here's the list of the wines we had. 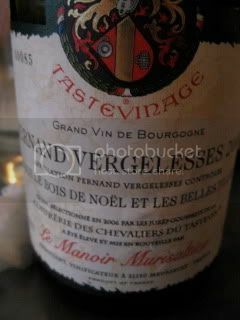 2004 Le Manoir Murisaltien, Pernand-Vergelesses "Sous le Bois de Noel et Les Belles Filles"...A little more advanced palate than the last time I had (last year). Maybe the bottle variation. 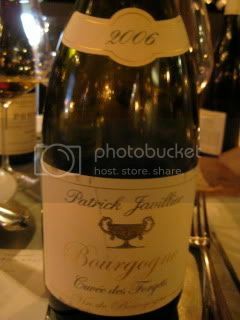 2006 Domaine Patrick Javillier, Bourgogne Blanc "Cuvee des Forgets"...Someone told me this wine is "declassified" Meursault. But, this is actually a cuvee which comes from different Bourgogne Blanc appellation parcels (not the communale appellation parcels) within the village boundaries. Quite tropical character. Mild acid with oily texture. 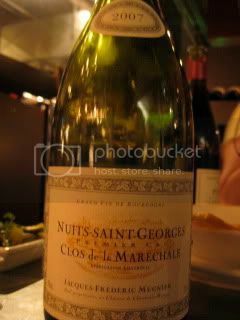 2007 Jacques-Frederic Mugnier, Nuits-Saint-Georges 1er Cru, "Clos de la Marechale"...It's a monopole vineyard (had been leased to Faivley but was returned to Mugnier since 2004 vintage). Beautiful red berry and floral character. Minerality. I can picture the butterflies in the field. Very smooth and somehow tasted the soft elegance like Chambolle. 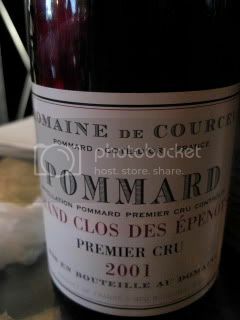 2001 Domaine de Courcel, Pommard 1er Cru, "Grand Clos des Epenots" (monopole)...Very powerful and dense. Perfume, candy. The wine showed so much complexity as it opened up after 30 minutes. 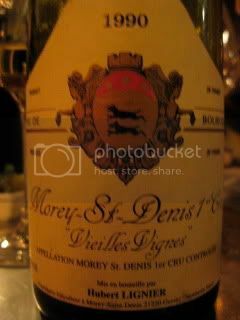 1990 Hubert Lignier, Morey-St-Denis 1er Cru, Vieilles Vignes...Still very young in palate. Milk chocolate, dirt, very juicy. Deep. 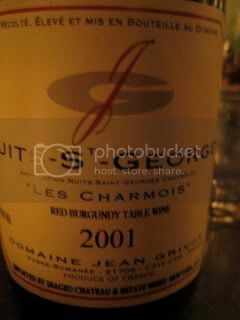 2001 Domaine Jean Grivot, Nuits-Saint-Georges, "Les Charmois"...Dark berry, powerful palate. Earthy. 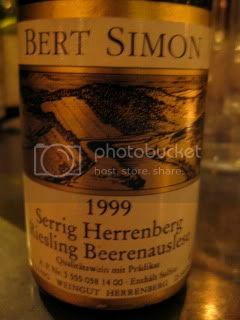 1999 Bert Simon, Serring Herrenberg, Riesling - Beerenauslese...From one of the vest vineyards of M-S-R, and it's monopole. Apricot, honey, vinyl, lush minerality. Rich and oily. Very complex. 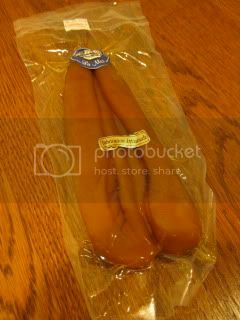 I think I'm addicted to bottarga. I just go crazy about it so much. To best enjoy the premium-quality bottarga, the simplest preparation is preferred. Bottarga spaghetti is one of my favorite pasta dishes. Here's my preparation. 2. 2 minutes before the spaghetti is ready, heat the olive oil and butter in a large saute pan. Infuse the garlic and dry chili for about a minute over medium. Remove the chili. (I like keeping the garlic, but if you like more classic way, you can just infuse an unsliced clove of garlic and remove it also.) Add 2-3 tablespoons of cooking water for the spaghetti. 3. Pour the drained spaghetti into the saute pan. 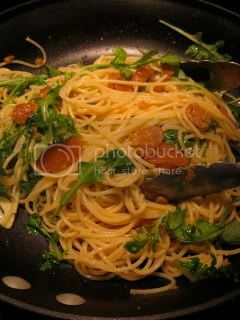 Add the arugula and bottarga and quickly toss with the spaghetti. 4. 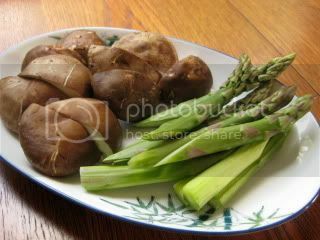 Serve immediately with the coarsely ground black pepper. I felt like I was in heaven! The dish was amazing. 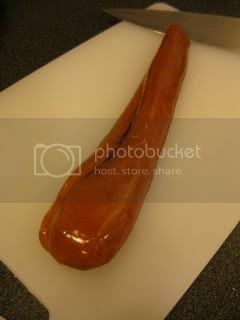 The bottarga had the nice chewy texture and the flavor was so dense and lightly salty. The dish made a magical mariage with Agrapart & Fils, Champagne Brut, Blanc de Blanc. The dish and wine together created the minerally sensation and I became a mermaid (in my head). After half-way through of savoring the dish, a secret weapon was introduced. 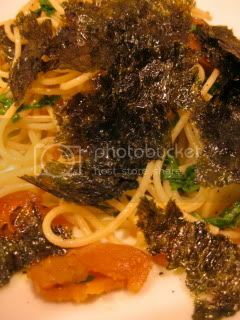 I sprinkled some broken Korean seaweed over the pasta. Yes, Korean seaweed with bottarga! They go wildly delicious together. 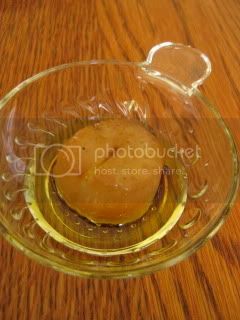 Dear donabe and Japanese food lovers. I am very happy to announce our may cooking class schedule is confirmed. We have a very exciting lineup! Please check out our website for details/ sign-up. We hosted another Donabe & Japanese cooking class on Saturday, and it was a lot of fun! All the dishes were made with different kinds of donabe. 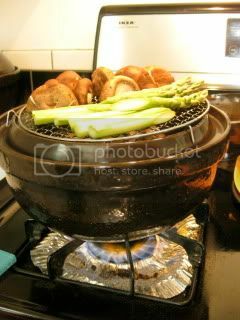 The theme/ main feature was the donabe smoker, "Ibushi Gin". I was so excited to show our guests how fun, easy, and delicious to make smoked dishes with the donabe. 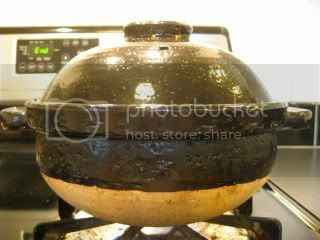 The donabe pots were ready to go in my small stove area. We got the ingredients for the first course ready. 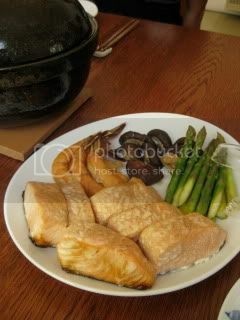 They were the scottish salmon, shrimp, asparagus, and shiitake mushrooms. 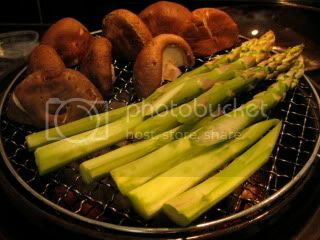 Smoke chips (sakura - Japanese cherry blossom wood) were laid on the bottom of the donabe, then we placed the ingredients in three tiers. After we had the amuse bouche - oil marinated donabe smoked jumbo scallops, the first course was ready. 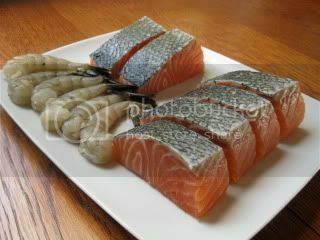 Everyone loved the smoked salmon! 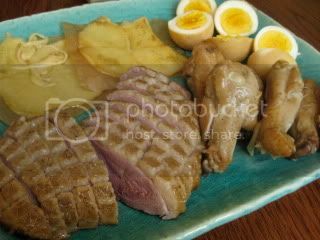 For the meat course, we got the Muscovy duck breast and chicken drummets. 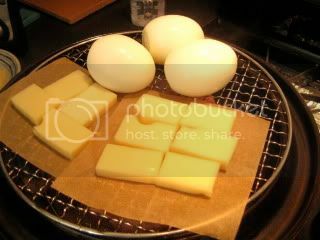 We also smoked the eggs and Swiss cheese together. The simple smoked duck breast was so juicy and tender, and so was the chicken drummettes. While these smoked ingredients tasted gorgeous on their own, we also made two kinds of dipping sauces to go with them. 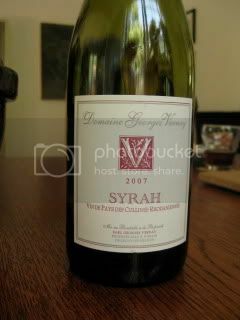 Vernay's Syrah from Northern Rhone made a very nice pairing with the meat. 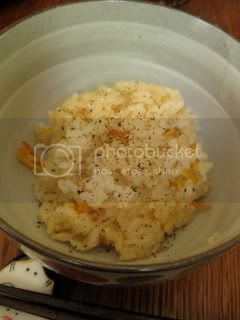 The rice course was our home-grown orange and butter donabe rice. 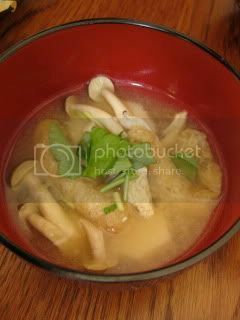 We also made the miso soup with satoimo, shimeji mushrooms and abura-age. Here's the menu from the class. 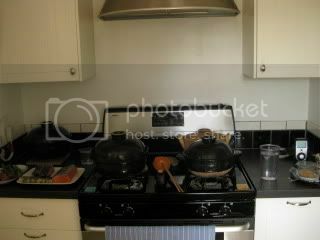 The new schedule of May cooking classes will be announced shortly. Please check back on our website sometimes. Happy donabe life. A night before the donabe smoking class, we did a "petite" rehearsal dinner. 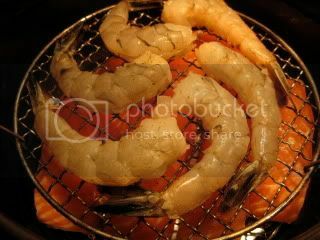 We smoked a variety of ingredients with our donabe smoker, "Ibushi Gin". This donabe smoker is truly magical. 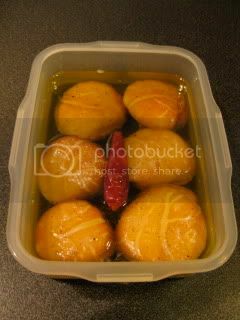 Smoked scallops were marinated in the olive oil. They will be served as "amuse bouhe" tomorrow. 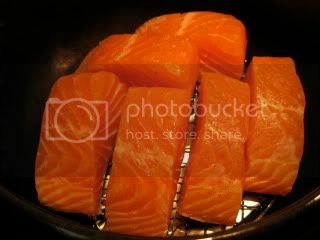 We also smoked the scottish salmon (from McCall's Meat & Fish), cod, yellowtail, etc. as a first course. 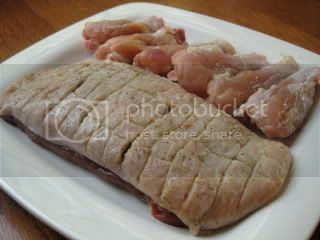 Yes, the big piece of Muscovy duck breast! 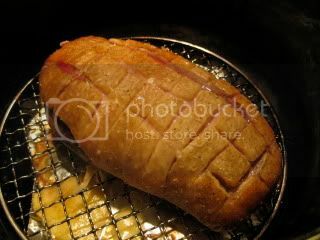 After only about 8 minutes over high heat (plus 20 minutes resting with the lid on), the duck came out amazingly juicy. 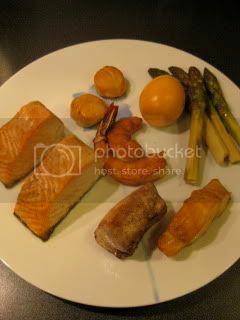 The texture was so dense and packed with flavors. Bravo! 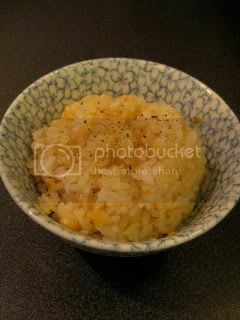 The rice was cooked with the double-lid donabe rice cooker, "Kamado-san". 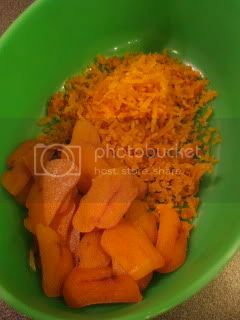 It's our home-grown orange and butter rice. Mmm...I never get tired of my donabe rice. I want it more and more. Tomorrow's class will be a lot of fun. I can't wait.